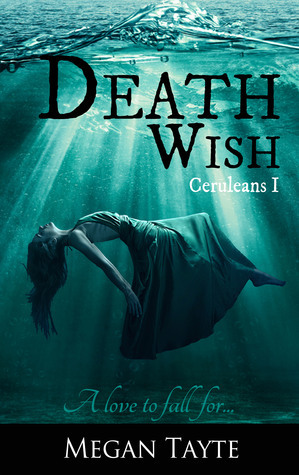 Seventeen-year-old Scarlett Blake is haunted by death. Her estranged sister has made the ultimate dramatic exit. Running away from school, joining a surfing fraternity, partying hard: that sounds like Sienna. Butsuicide? It makes no sense. This book completely took me by surprise - it was amazing! I didn't expect to like it because I thought it was going to be a boring mystery type book but thankfully it wasn't like that. The cover is beautiful, it really drew my eye to it. I highly recommend this to anyone that likes young adult with a pinch of paranormal elements thrown in there. Scarlett was trying to find out the reason behind her sisters "suicide" but she ends up finding more. She finds friendships and an amazing boyfriend and a dark mysterious guy that she keeps thinking about and then something about herself she never knew. Now she has a decision to make, will she choose life or death? I loved all the characters! Every single one, there was not a character that I did not like. Luke was so cute and charming and a little awkward at times but so was Scarlett so it evened out. Luke and Scarlett together was amazing and I ended up wanting to just read about them instead of about anything else going on. I loved how understanding and sweet Luke always was, even when I don't think Scarlett really deserved that. Cara was a good, fun friend but she was kind of a bad influence at times. Like always dragging Scarlett to parties and since Scarlett was a lightweight it always ended with her passed out. I love how Luke and Cara were siblings so Scarlett could hang out with both of them without really choosing. Jude -the dark, mysterious, Jude. I wish he was in the book more but I know he will be in the next book more. I wish she would have figured out more about him before the last couple of chapters, especially since she thought about him so much. Scarlett's mom was crazy, I agree with Luke she needed help. I understand losing a daughter is hard and you need time to grieve but she didn't need to dump all of that on Scarlett. That was probably a big reason why Scarlett made such stupid decisions.